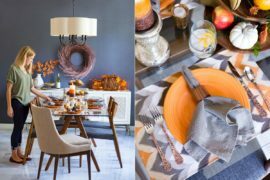 If you’re lucky to live in a home with a separate dining room, you have an entire space devoted to enjoying a delicious meal with friends and family. But sometimes decorating this space can be a bit intimidating… After all, the living room houses comfy seating, entertainment and more. The bedroom is a sleeping space that doubles as a sanctuary. 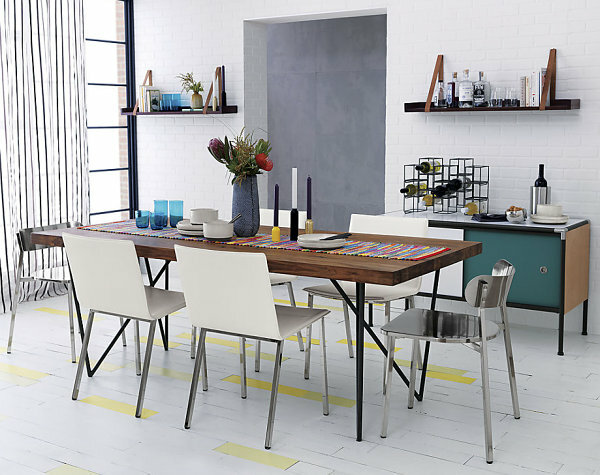 The dining room holds a table and chairs, but filling the rest of the space may take some time, especially if you’re using this room to make a grand statement. 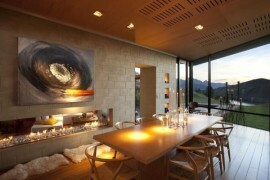 In fact, when it comes to the walls, it can be difficult to make decisions about artwork. Should you put a painting on every wall? 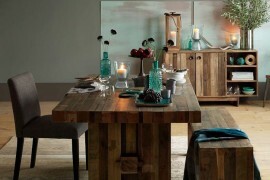 Do you stick with one or two main colors for each piece? The silver and gold trend is still going strong! 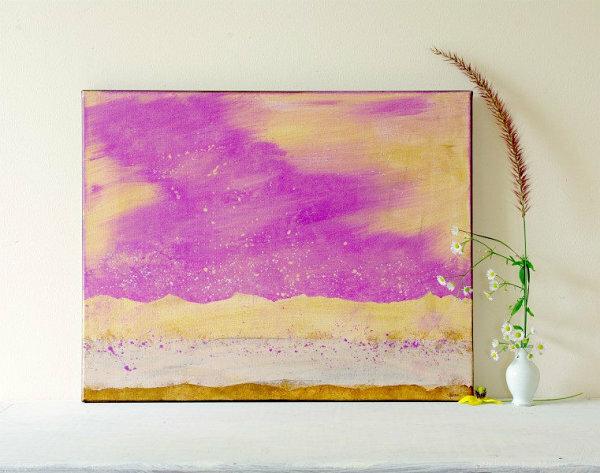 Rather than blinding you with its shine, this color combo can be quite soothing, especially when incorporated into a piece of modern art. 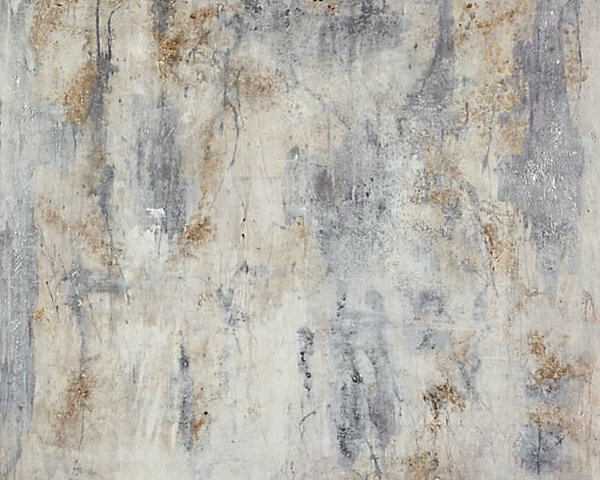 Below we see Fortive from Z Gallerie, a piece by Joshua Schicker that features shades of linen, taupe and gray. 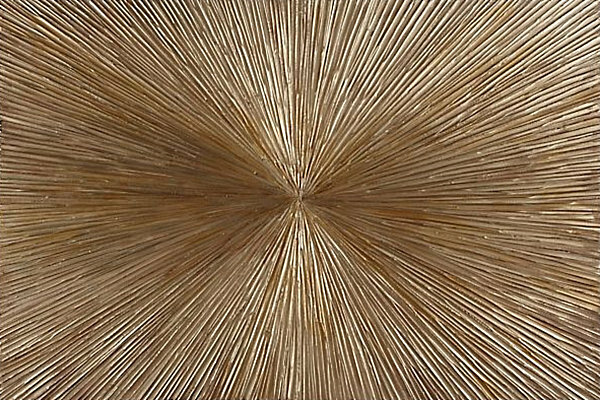 For an elegant shine that celebrates warm tones and visual motion, check out Golden Voyage, a piece of artwork created by L. Bodine for Z Gallerie. 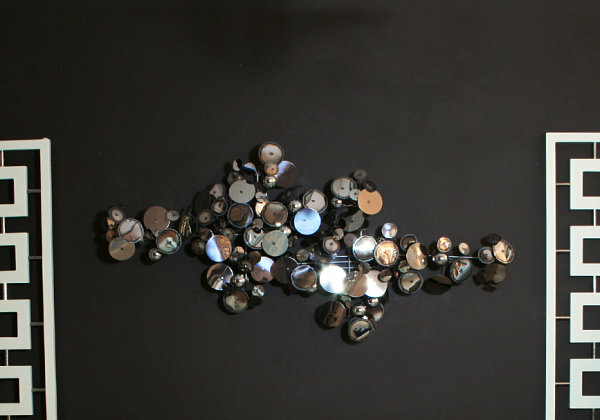 The beauty of metallic tones: they can be mixed with a variety of colors, from your wall color to the hues showcased in other nearby works of art. Just as you might create a grouping of artwork, don’t hesitate to hang a group of mirrors on the wall for a gallery-style effect. 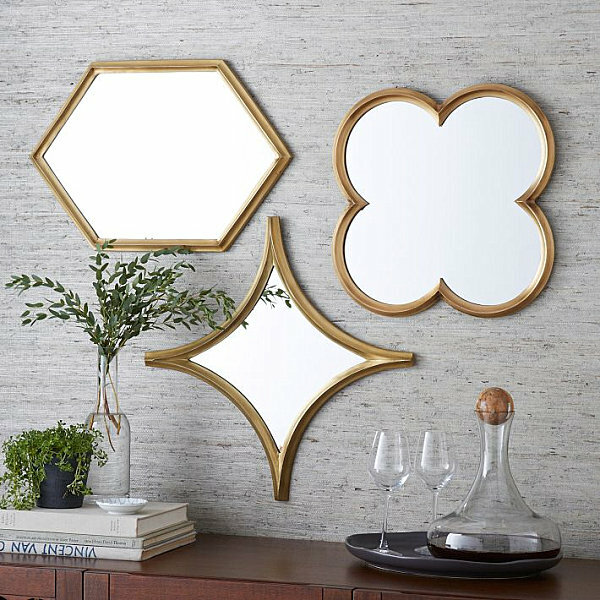 These Monte Mirrors from West Elm feature aluminum frames with a plated brass finish. 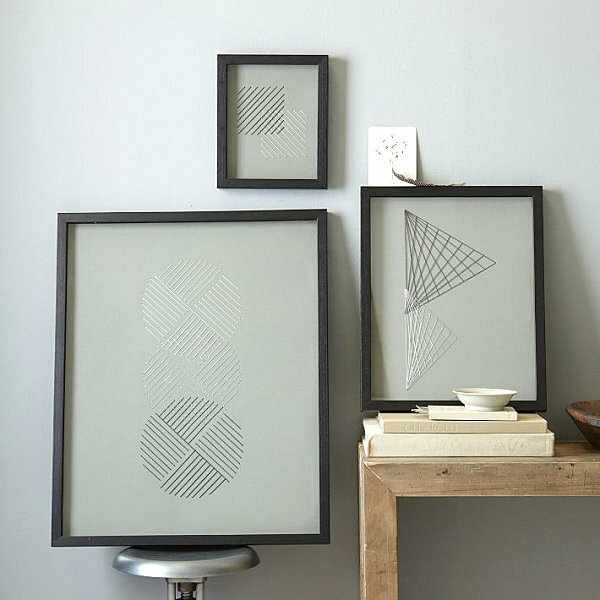 Love the geometric outlines! 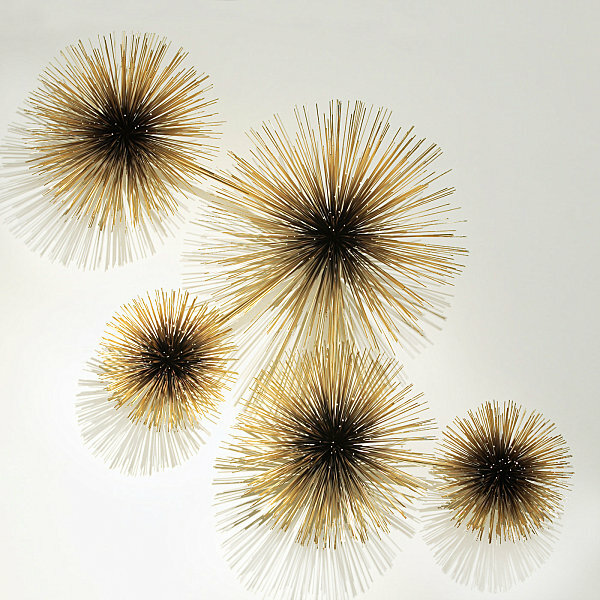 A wall sculpture is an artistic way to add 3-D style to your dining space. These Papier-Mache Reindeer Animal Sculptures from West Elm are handmade in Haiti from recycled materials. 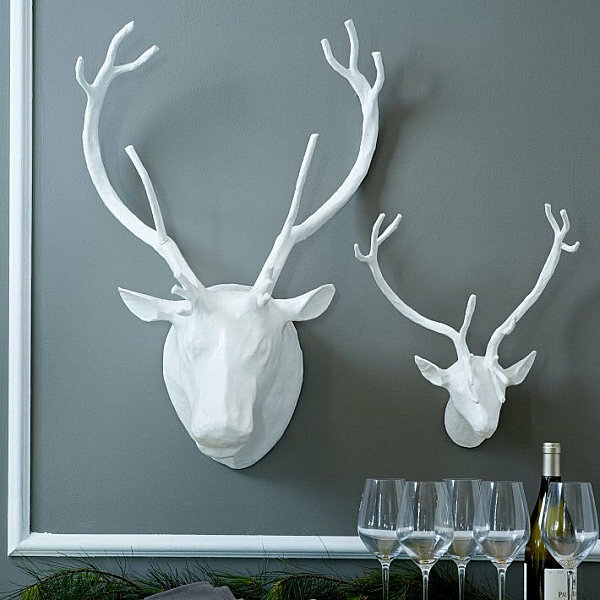 They showcase the drama of wall-mounted antlers while being animal-friendly at the same time! 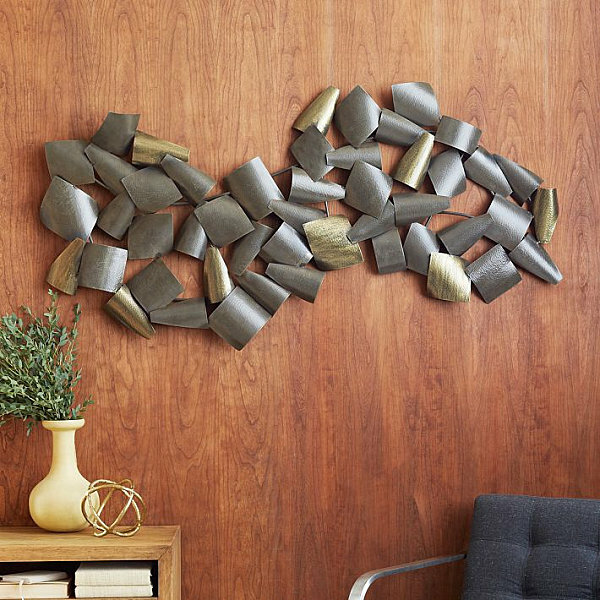 There’s nothing like a metallic wall sculpture with Mid-Century modern style! 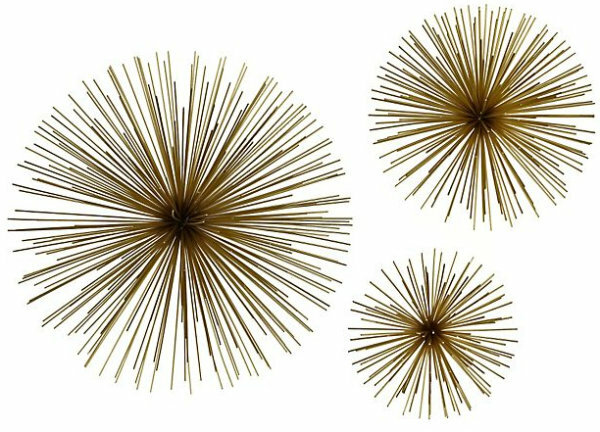 This C. Jeré Urchin Sculpture from Jonathan Adler is made of brass, and its spiny design adds retro-meets-contemporary style to any space. 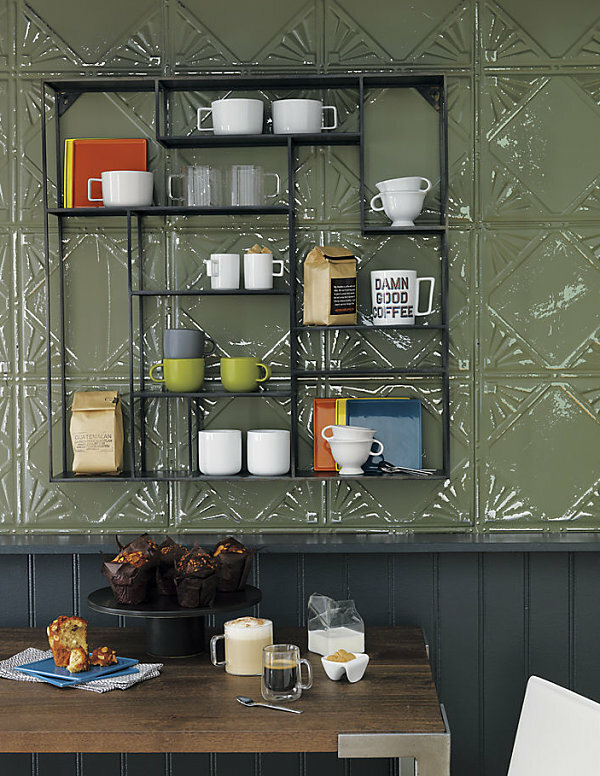 Don’t forget about the decorative power of shelving! 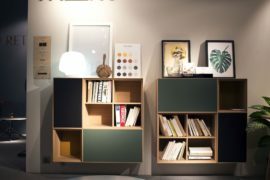 Shelves are functional and stylish–perfect for a space that holds small decor items such as vases, teacups and dishware. Use shelves to display collectibles, serving pieces and more! 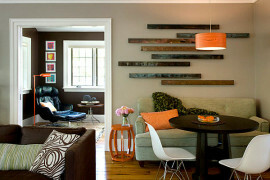 This Set of 3 Floating Shelves from CB2 is crafted of powdercoated iron. As you can see in the image below, purchasing several sets and grouping them together creates quite the chic statement on a dining room wall! 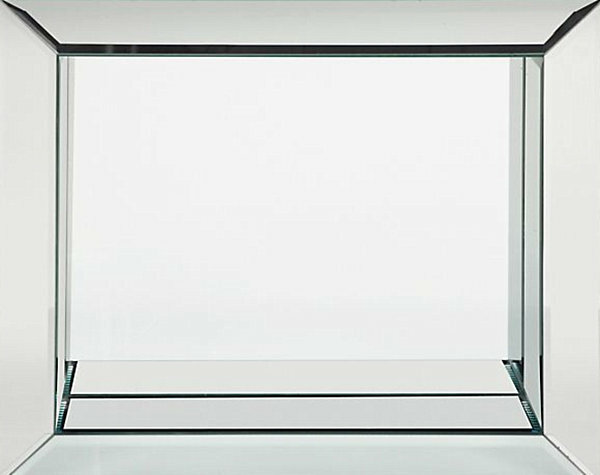 For an elegant shelving option that’s perfect for glossy spaces, check out the Pascual Wall Shelf from Z Gallerie. 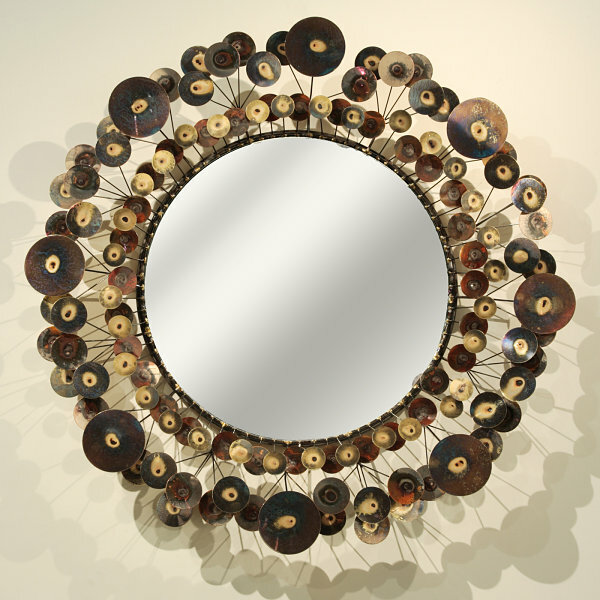 A metallic framework and antique mirrored finish make this piece ultra glamorous. Plus, it’s ideal for displaying decor! 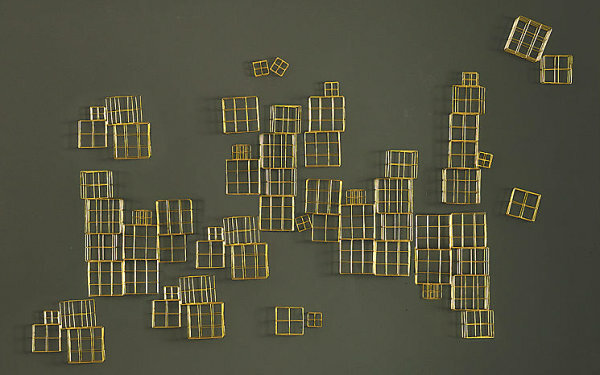 Wall sculptures? Artwork? Mirrors? Shelving? 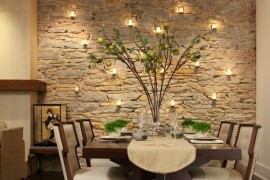 The possibilities for dining room wall decor are endless. Try one or all of these solutions to create an eye-catching space of your own!